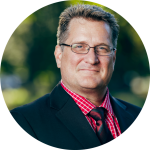 “Who does your Queens Real Estate Agent work for?”, by Duane Egyud, Realtor & Buyer Specialist with the Queens Home Team at Keller Williams Realty. Who does your agent work for? Do you know? If your a seller, it is pretty much a straight forward understanding. You know who your agent works for. He works for you, the seller. You signed a nice contract dictating the terms of your relationship and that little piece of paper known as the New York State Disclosure Form explains your relationship. Though, what if you are the buyer? 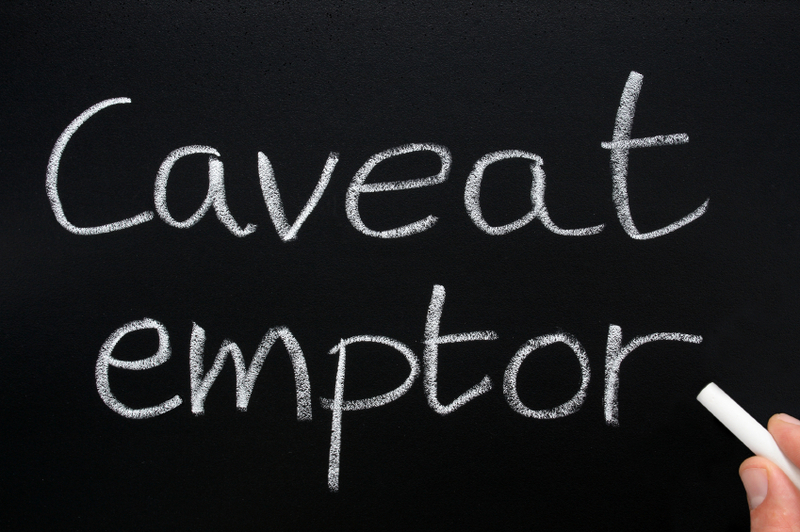 Latin for “let the buyer beware”. When I first got into the business a friend of my wife’s had just bought a home. We visited and he was telling me of the problems he had begun to discover once he started the renovations. Things like termite damage and some plumbing issues. I asked him if he had the house inspected and he told me his agent took care of it. I continued asking him who his agent was and he told me it was the agent that sold him the house. And there is the rub. You see, that agent didn’t work for him, he only sold him the house. There is a huge difference. I showed him the report for the home inspector I had just received from the clients on a deal that I was near closing, which was about 25-30 pages long. He showed me his and it was about 3-5 pages. He couldn’t believe the mistake he made and has since sent me several referrals. It can be confusing when you walk into an open house and are greeted by a smiling agent, ready and willing to answer your every question and help you in anyway you need. They seem so nice and accommodating. And they are. It is just that it is in their best interest to get you to buy at the highest price possible and are not obligated to tell you any thing about the leaky roof, or sink. And they will arrange the inspection for you and they know just the inspector for you. It’s the one that he uses when he doesn’t want a thorough job done. He is obligated to give you fair and honest dealing and if your not careful, that is all you will get. 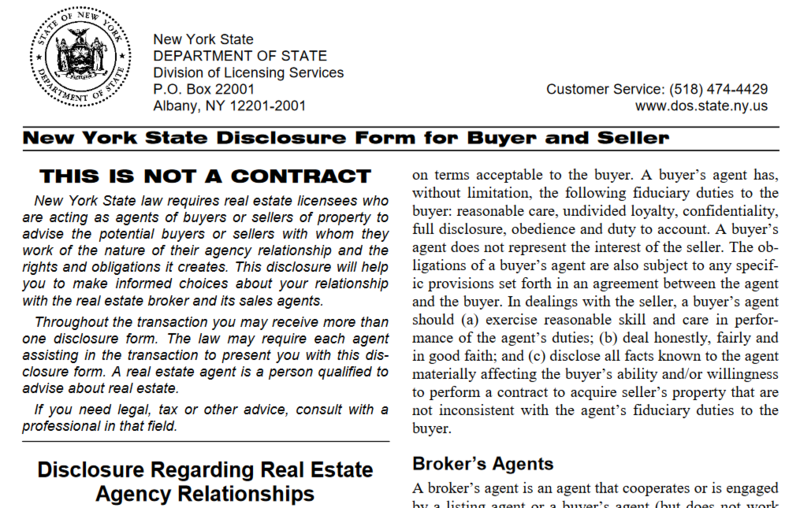 The first thing that should happen in this scenario is when you walk into an open house and especially once you start talking about the property, you should be handed a NYS Disclosure form (see above) and have it explained to you. 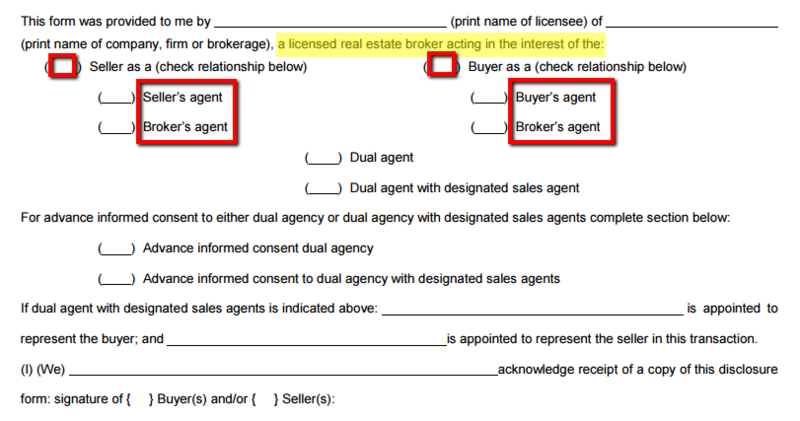 Who they are, which broker holds their license and most importantly, that they represent the seller as the seller’s agent. Basically, that they work for the seller. I have been to a few open houses on my own and I can tell you this is not as common as it should be. Truly, the very first thing that should happen when you are looking for a home is to get an agent of your own, and don’t be fooled. Just because you call up an agent and say, “I would like to see 123 Main St., please, and I would like to have an agent on my side.” And this agent (what we call a “pop-tart” agent), who jumps at every call and runs you directly to the house to show you the property, actually works for the seller as a broker’s agent. See, they still don’t work for you. Their fiduciary responsibilities are to the seller. I know that doesn’t seem right, but it is the way it legally is. What you need to do, is call an agent and tell them you are interested in finding a home to buy. They should ask to meet with you, explain the home buying process to you (especially if it is your first time buying a home) and to get to know you and you can both decide whether, or not you would like to work together. They should ask you to sign an Exclusive Right to Represent, which gives them the power to do such things as comps so you get the right amount to offer and not over pay, find the inspector that will give your home the inspection that you deserve. Be able to show you off market properties and many other perks because they represent you and have your fiduciary needs at the front of your relationship. They are legally bound to get the best deal they can for you. And in the end, that’s what you want, isn’t it?